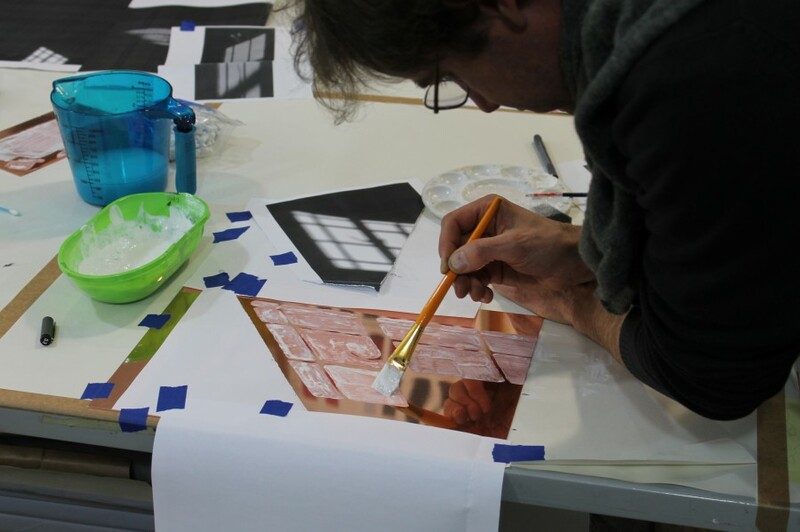 Sean Slemon has been working on a series of etchings at David Krut Print Workshop, Arts on Main, in anticipation of his solo exhibition with Nirox Projects. Slemon’s exhibition will run at Nirox during July, with a further showing of work at David Krut Projects, Arts on Main. 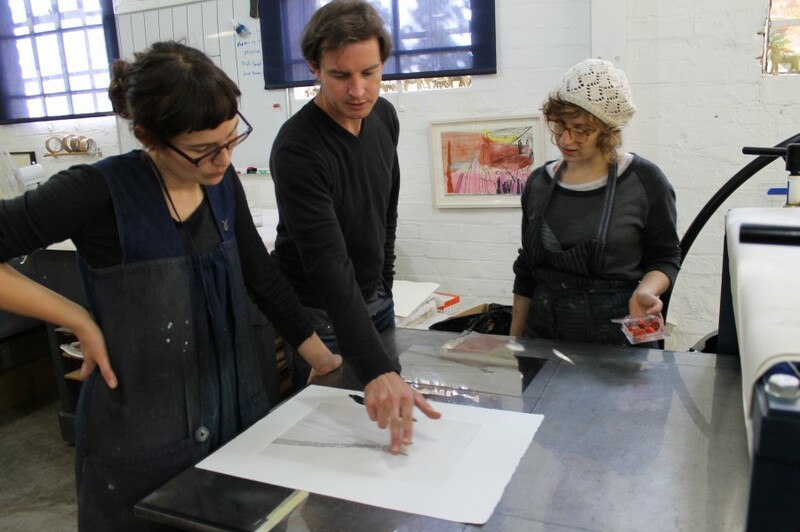 Together with the printmakers Slemon has been experimenting with hardground etchings and soapground aquatints on a series of small prints.